Writing as self-expression … and release. 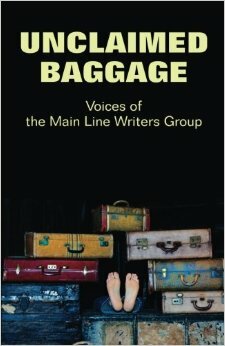 Gemini Wordsmiths business partner, Ann Stolinsky, and I take great pride in presenting Unclaimed Baggage, a compilation of creative and bizarre stories written by a group of highly talented writers from the Main Line Writers’ Group. Ann and I, as acquisitions editors of this anthology, will be attending the book launch party at Nestology in the King of Prussia Mall on Sunday, October 27, from 1:00 p.m. to 3:00 p.m. Books will be discounted for purchase. Most of the authors will be present to sign and discuss their works. Hope some of you will come out to our book release party at Nestology in the King of Prussia Mall this Sunday from 1 to 3 pm! Lynda Dell on Best Wishes, Jonathan! Bill Peschel on Best Wishes, Jonathan!